Stunningly beautiful, this 5' gerbera daisy silk flower garland comes ready to be hung and displayed. Create a summery vibe with this enchantingly bewitching silk floral garland. In addition to it being beautiful, it's also so very versatile. You can drape it across your arbor or lay it as a delicate centerpiece on your table. They are the quintessential way you can rejuvenate spaces with an easy, effortless facelift. 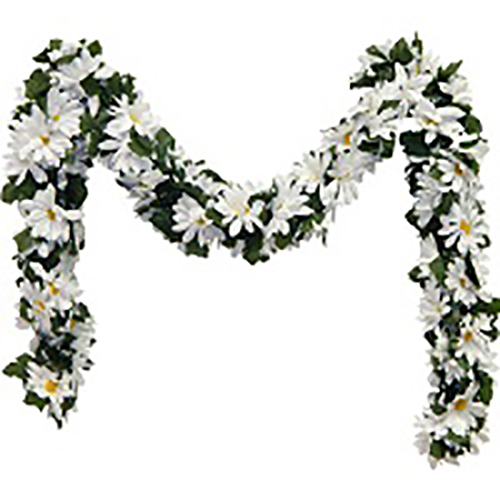 Created with an artistic touch and with the finest quality materials, this beautiful faux garland has a real-world naturalism and beauty that endures.